A more prevalent situation is when the unit owner does not want to reside at the unit, and decides to sublet it to a third party who is not a direct relative. 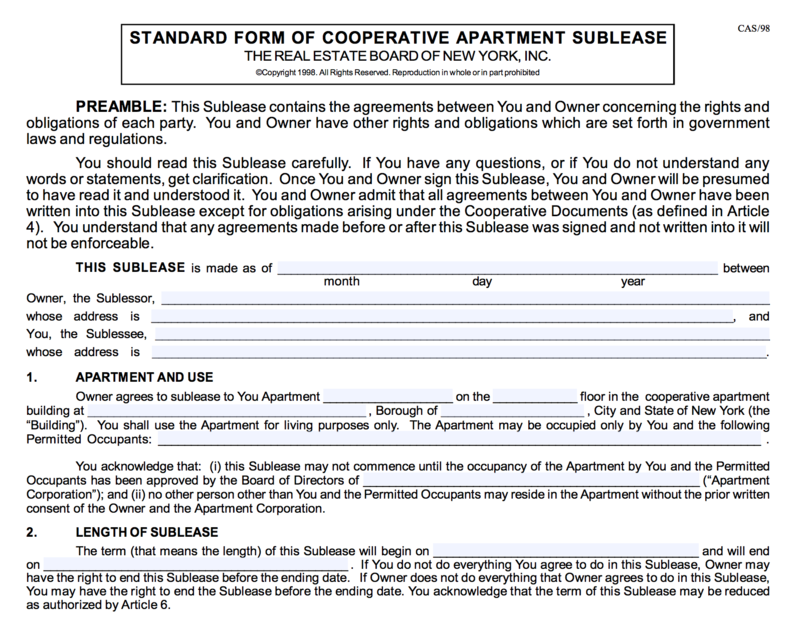 For the reasons stated above, most New York co-ops have strict rules about subletting. They generally prefer that units be owner-occupied, and will have restrictions on subletting. 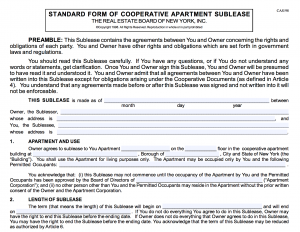 This restrictions can include the length of a sublet (usually requiring a minimum of one year, and a maximum of two years, without the right to renew) and often require all sublets to be approved by the cooperative board. A written lease and sublet application will be required to be submitted to the Board for approval. What happens when a shareholder sublets her unit, but fails to seek required co-op board approval? If the co-op discovers the “illegal” sublet, it will most likely issue a warning notice to the shareholder to cure the sublet violation. If the shareholder fails to comply, the co-op will issue a default notice, which may result in the shareholder losing her shares, and the apartment. We recommend that shareholders in this situation contact experienced counsel to discuss the situation with the counsel for the cooperative. If the subtenant refuses to vacate, then a landlord-tenant action must be brought by the shareholder to evict. Otherwise, the shareholder runs the risk of losing her apartment ownership. It is important to have counsel keep the cooperative counsel appraised of the status of the eviction action, so that the co-op is aware that the shareholder is doing everything in her power to remedy the violation. Our firm regularly addresses potential cooperative violations and looks forward to engaging and assisting any parties in this situation.